Bryozoans, are a fascinating and beautiful phylum of aquatic colonial invertebrate animals. The tiny individuals of the colony filter food particles from water using a retractable organ called a lophophore, which is a "crown" of tentacles lined with cilia that encircles the mouth. In this respect they are superficially similar to coral polyps. Their habitats range widely, from marine to fresh water, from tropical to arctic latitudes. Over 4,000 living species are known. One genus is solitary and the rest are colonial. Colonies take a variety of shapes and forms, including fans, bushes and encrusting sheets. Different individuals (or zooids) in a bryozoan colony have varied, specific functions in support of the colony. Some are responsible for feeding and waste removal. In some classes, the colony has specialists whose functions range from incubation of fertilized eggs to defense or locomotion of the colony. Zooids of all the freshwater species are simultaneous hermaphrodites, while individuals of many marine species function first as males and then as females, but their colonies always contain a combination of zooids that are in male and female stages. All species emit sperm into the water. Some also release eggs into the water, while others capture sperm via their tentacles to fertilize their eggs internally. 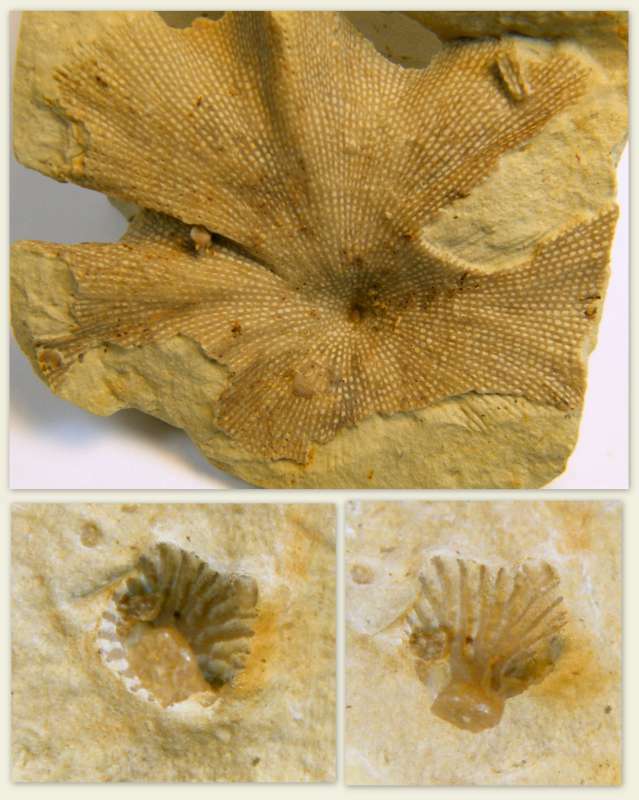 The earliest fossil remains of bryozoans occur in Early Ordovician rocks. 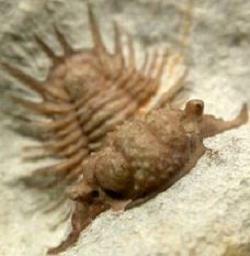 Interestingly, this was a late development because all other fossilized phyla appeared in earlier periods. 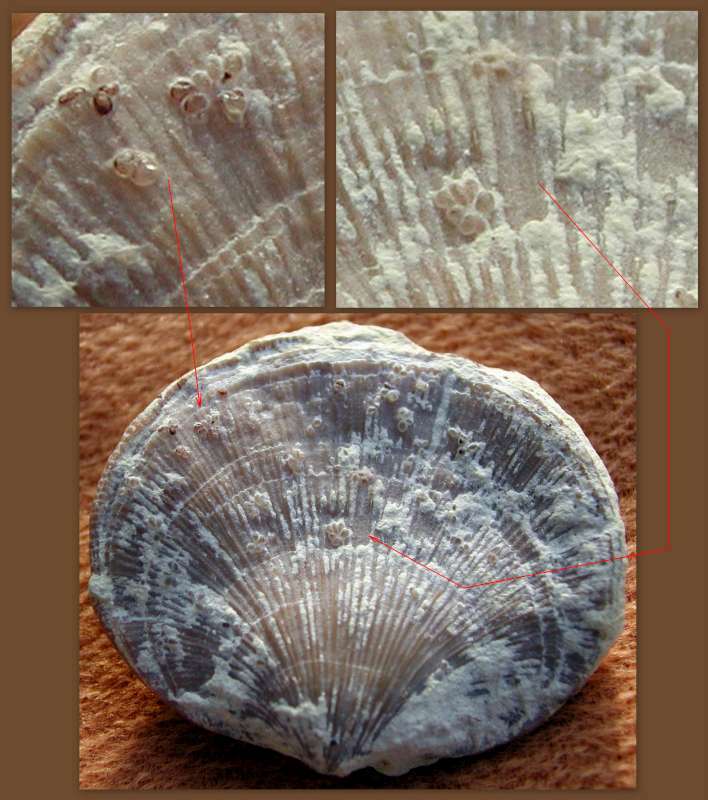 Early fossils are mainly of erect forms, but encrusting forms gradually became dominant. 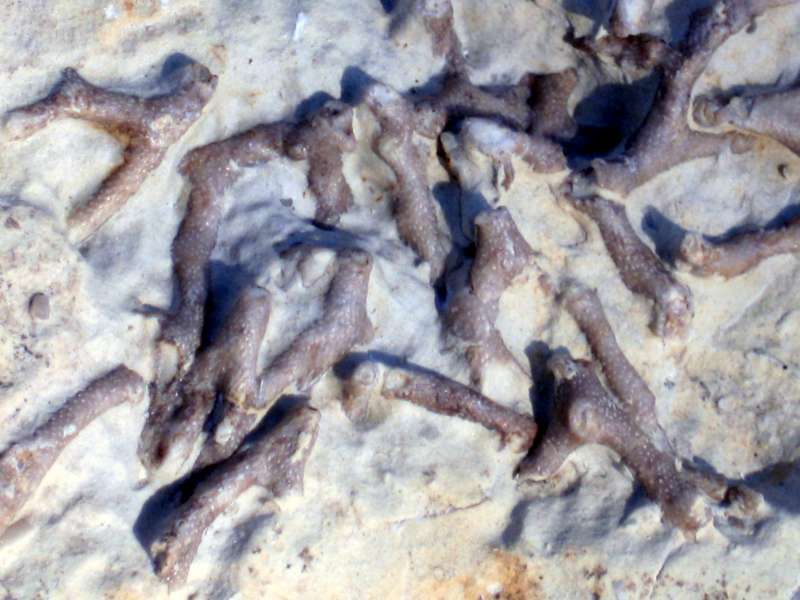 Bryozoans are considered to be part of the super phylum Lophotrochozoa which includes the trochozoans and the lophophorata. 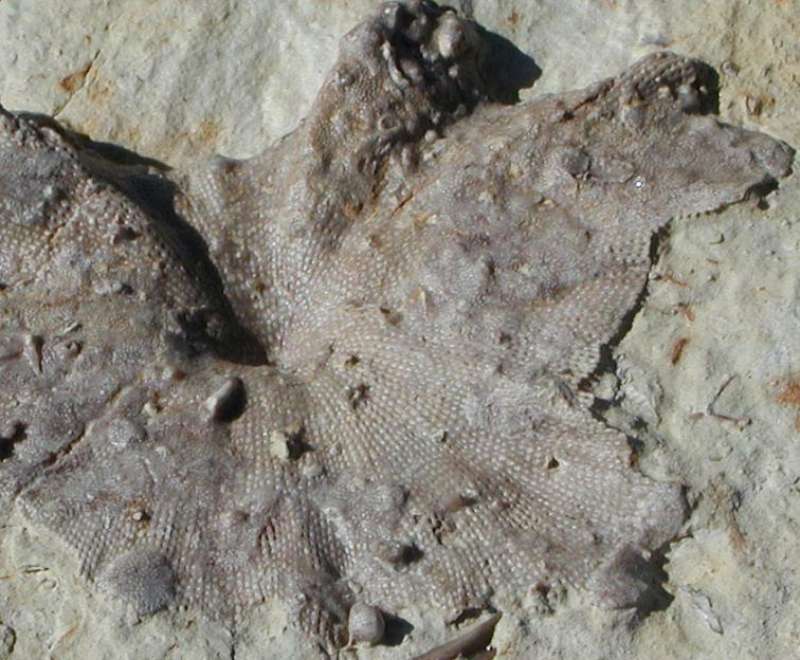 The latter is united by the presence of the lophophore and encompasses the Bryozoa, Entoprocta, Phoronida and Brachiopoda. Below is a cluster of broken bryozoan branches, likely belonging to the same colony. Scattered pieces of this species are more common than these associated specimens. More on this later as I look into its literature.